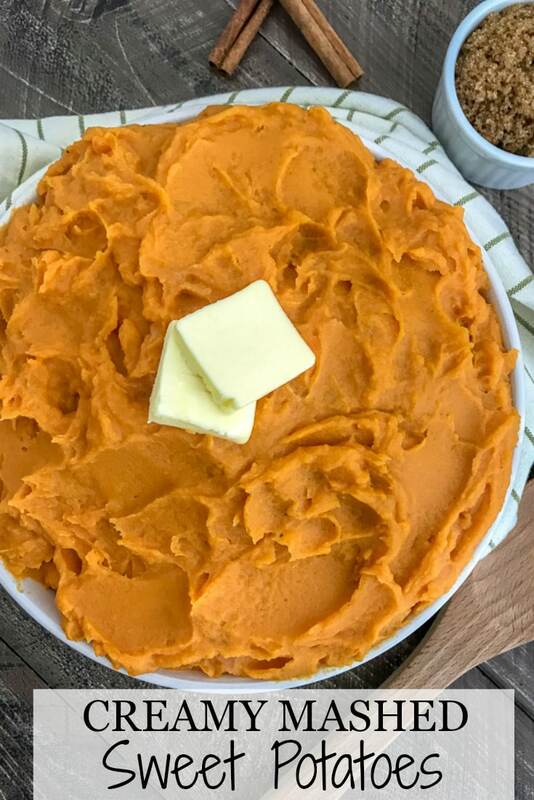 Creamy Mashed Sweet Potatoes – buttery, creamy and smooth sweet potatoes that are the perfect, healthier side dish for your upcoming Friendsgiving or Thanksgiving festivities. Easy to make, full of that brown sugar, cinnamon flavor – but on the lighter side of things. Guaranteed to be a hit with everyone! 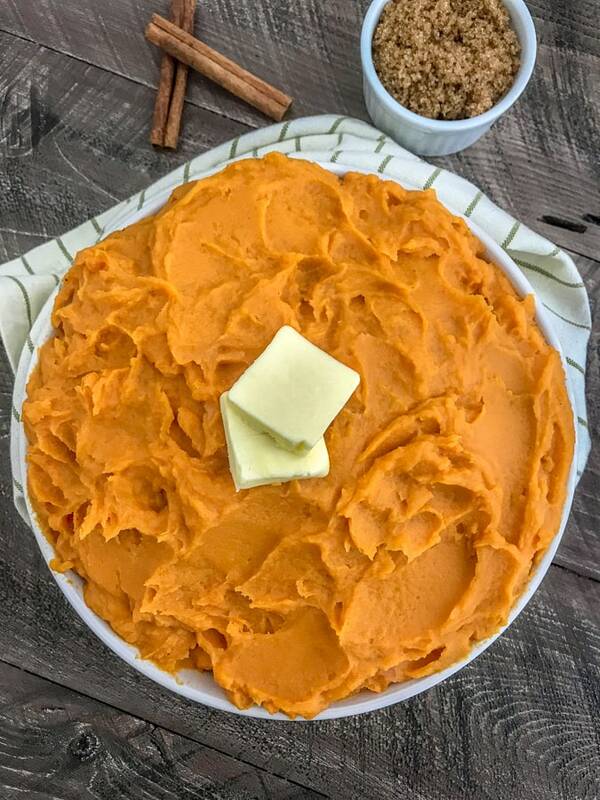 If you’re a mashed sweet potato lover, then this is the recipe for you! Enjoying sweet potatoes has never been easier! If you’re looking to cut back on time and free up your oven this Thanksgiving, then try this method. 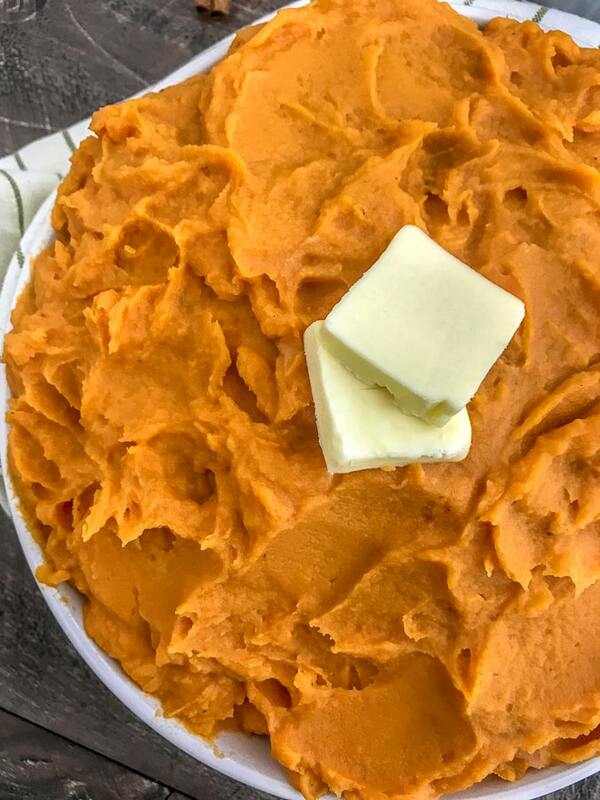 This quicker method boils the sweet potatoes, rather than bakes them. Scrub, peel, and cut the sweet potatoes into small, bite-sized chunks. Place a large pot of salted water over high heat and bring it to a boil. Once the water is boiling, add the sweet potato chunks and allow to cook 10-15 minutes, or until they reach a fork-tender texture. Remove from heat and strain. Now we mash! Or should I say puree? Yep. In a food processor! Combine the sweet potato chunks, butter, cinnamon, salt, brown sugar, and milk and process until it reaches a creamy consistency. Cheesy Broccoli Ham Casserole – Great for your leftover ham or turkey from the holidays! Easy, cheesy, and super delicious side dish with the best, crispy butter-parmesan topping. Creamy Garlic Butter Loaded Mashed Cauliflower – Imagine a loaded baked potato, but in mashed potato form with cauliflower instead of potatoes! Healthier, easy to make, and so yummy you won’t even be able to tell its not made with real potatoes. 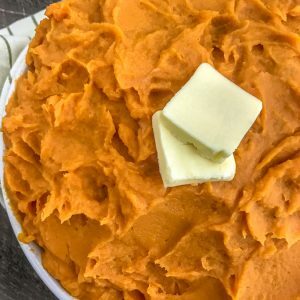 Velvety smooth and creamy mashed sweet potatoes that make for one of the best and easiest side dishes for any meal. Easier than baking and comes together in 25 minutes or less! Bring a large pot of salted water to a boil. Once boiling, add the sweet potato chunks and cook 10-15 minutes, or until the sweet potatoes are fork tender. Check at 10 minutes. 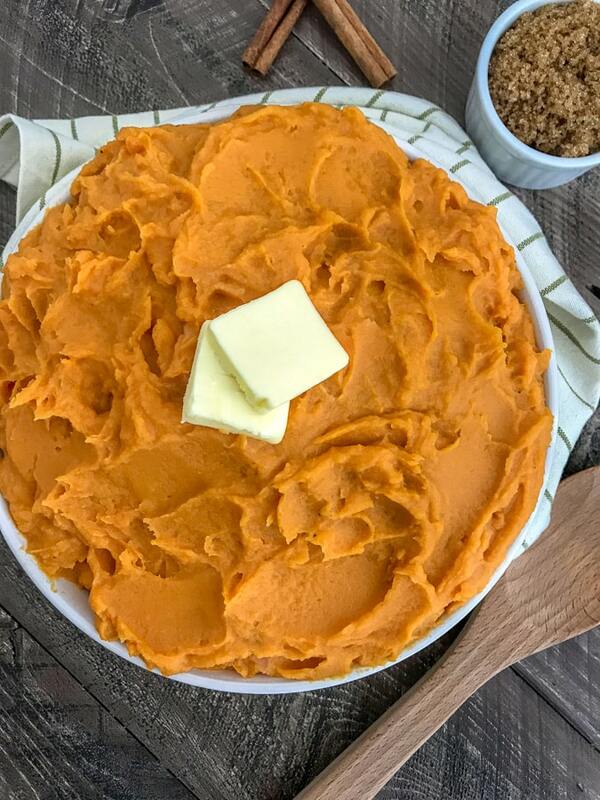 Combine the sweet potatoes chunks into a food processor (or large mixing bowl with a potato masher on hand) with remaining ingredients listed and process (or mash) until it reaches a creamy consistency and no chunks remain. Add the milk, as needed, to reach a creamy consistency. Adjust seasonings to taste when it comes to sugar, salt, and cinnamon. Start by adding a dash of cinnamon at a time. A little goes a long way. 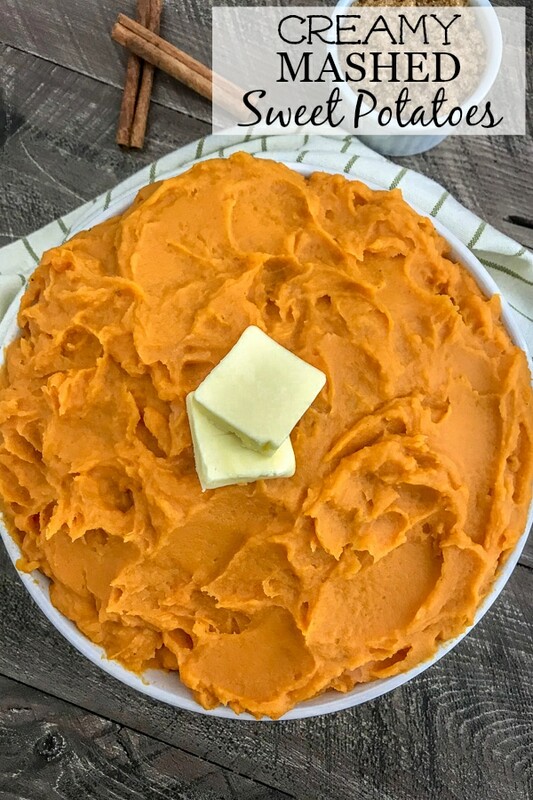 If you love sweet potatoes with a marshmallow topping: Pour the mashed sweet potatoes into a casserole dish, top with marshmallows and place in the oven under broil on LOW. Bake until the marshmallows have melted and just starting to brown on the top. CINNAMON: Start with a dash of cinnamon when pureeing. A little goes a long way. You don't want to add too much. MILK: Add 1-2 tablespoons at a time until you reach the perfect creamy consistency. You don't want them to be runny! BROWN SUGAR: I added 1/4 cup to give it a subtle sweet taste. If you like yours more on the sweeter side, add 1-2 tablespoons more at a time and taste test as you go.